Protecting farmland with agricultural conservation easements is a core part of our work at MFT. One thing we consider when protecting a farm property is whether there are other protected farms in the area. Ideally, we aim to create communities of protected farmland to help foster long-term farm viability by protecting the support network that farms rely on. In Skowhegan, a community of six protected farms exemplifies this goal to create clusters of protected, working farmland, and the benefits of doing so. Beyond preserving the land base for farming, creating communities of protected farms fosters a strong support system for farming. 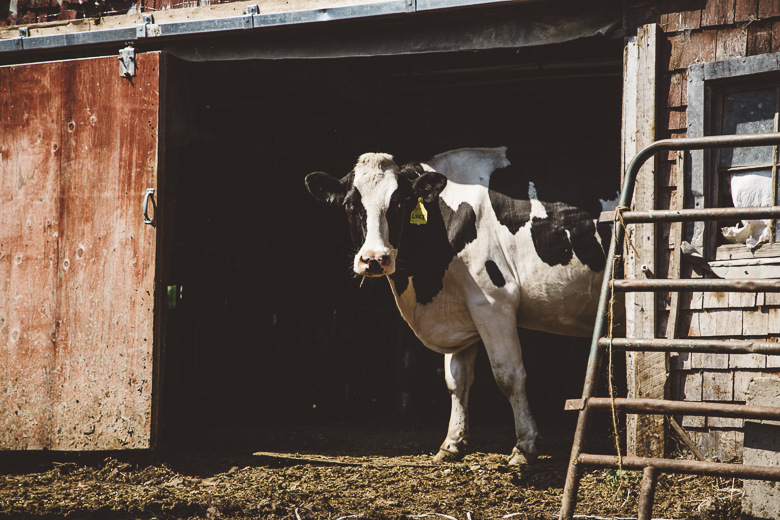 These farms are interconnected in so many ways– hay and corn grown on one farm are used by a neighboring farm for feed; farmers manage fields on other properties; they support each other through personal relationships and practical help. Other agricultural businesses thrive in communities with more working farms, providing critical services that further increase the viability of the farms and sustain the rural economy. “Skowhegan and surrounding towns are part of the larger farm belt of central Maine. There are many long-standing, productive family farms that are very active and important to both the local economy in general and agriculture, specifically. 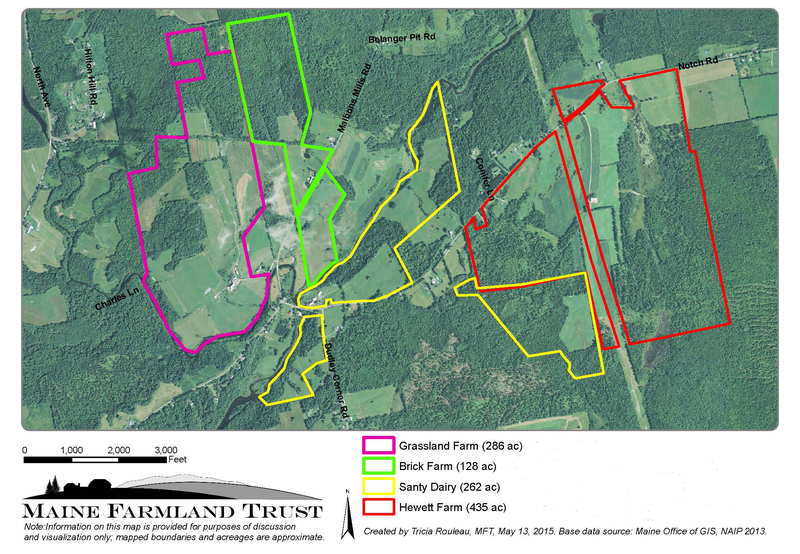 By protecting these farms with agricultural conservation easements and by working with these and other farms in the area, we can support the future of agriculture here”, notes Nina Young, Project Development Specialist and Designated Broker for Maine Farms Realty. MFT hopes to build more of these communities of protected farms in other areas throughout the state of Maine.